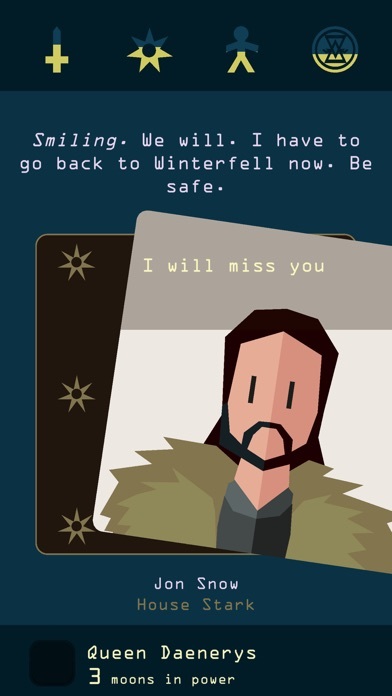 Reigns: Game of Thrones App Data & Review - Games - Apps Rankings! The applications Reigns: Game of Thrones was published in the category Games on 2018-10-18 and was developed by Devolver Digital. The file size is 215.15 MB. The current version is 1.15 and works well on 9.0 and high ios versions. 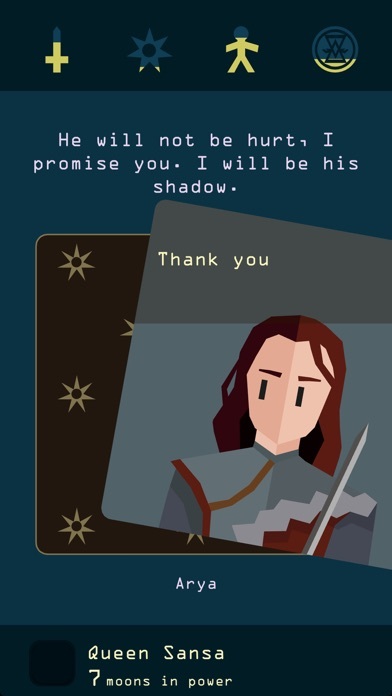 Do you like Reigns: Game of Thrones applications? Please share! 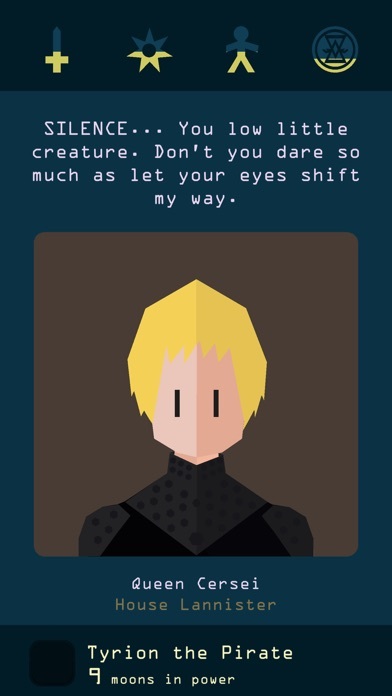 If you like GOT, or Reigns, or both, get this. It’s a perfect match, and this is the best game in the series. I’ve wanted a good GOT game for a while. I’ve tried all the ones worth mentioning and this is my Fav so far. The mechanics are solid and the story telling and the various possible outcomes are on point. 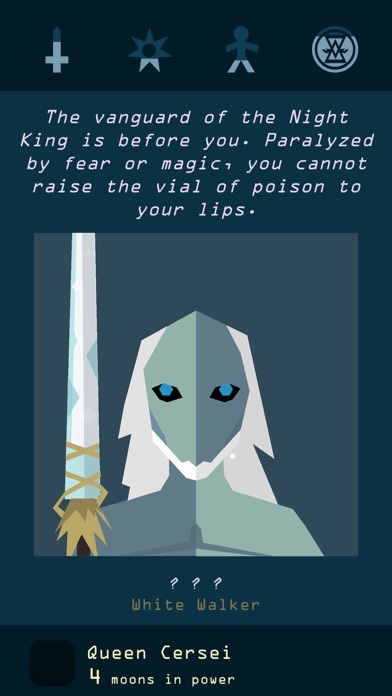 Because it’s essentially a rouge-like and you’re going to die a lot. The choices you make can actually have live or death implications (or anything in between). So there is actual tension in decisions that you aren’t sure of, especially when you’re on a really good run. My only complaint is that sometimes my bonus effects didn’t work. And if I could have the devs add anything, it would be more ways for playing a different character to affect the mechanics (other than the perks.) it affects the story and choices plenty, but I’d like to see something slightly more complex in the 4 pillars thing. 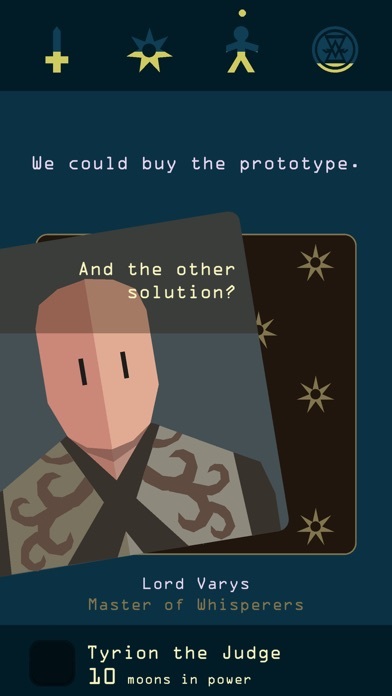 Because of the background of GOT being so familiar to many, this new game of Reigns had little mystery to explore compare to the original Reigns, but rather lots of storylines to immerse yourself in. I expected that so overall is enjoying it. 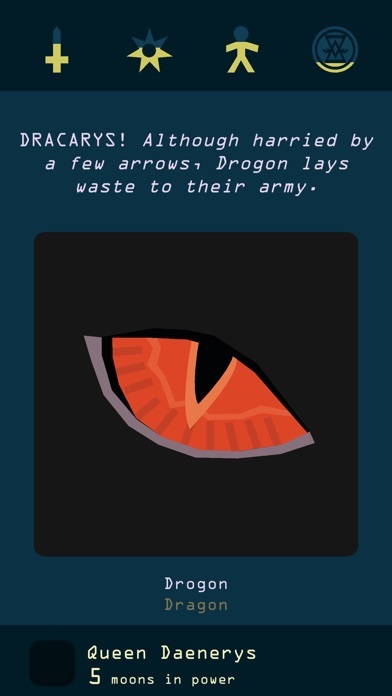 Having said that, every time a new Reigns come out I jump on it instantly because of the desire to uncover a new mystery. The King who wants/needs to trick the Devil and the Forever Queen were such amazing characters with captivating overarching plot (especially in the case of Her Majesty). 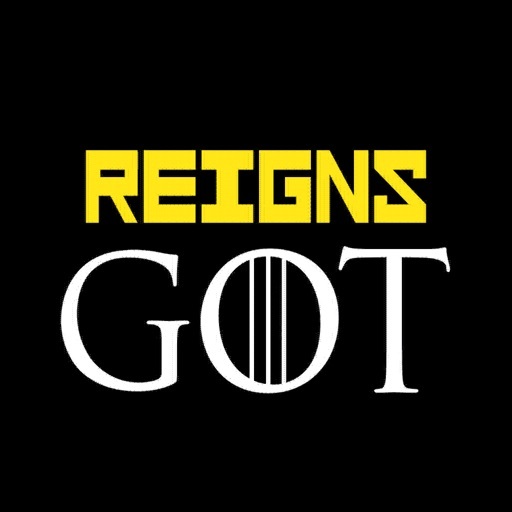 I know a lot of players might be new to the Reigns world via this GOT game, so if you like it, I strongly recommend the first two games as well. They may be more plain but they have an unusual and mysterious charm to them that is only achievable through its plainness, as they keep you guessing what the next move may be. 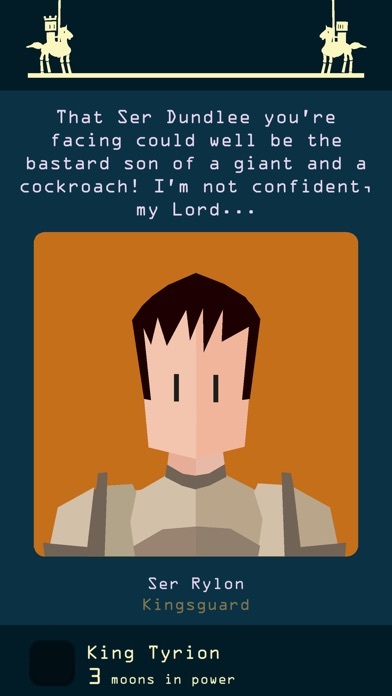 Love the artwork and gameplay tweaks added to this version of the Reigns series. Would love to see more franchises adapted for the Reign series. If you like games where you are figuring everything out this is one for you. 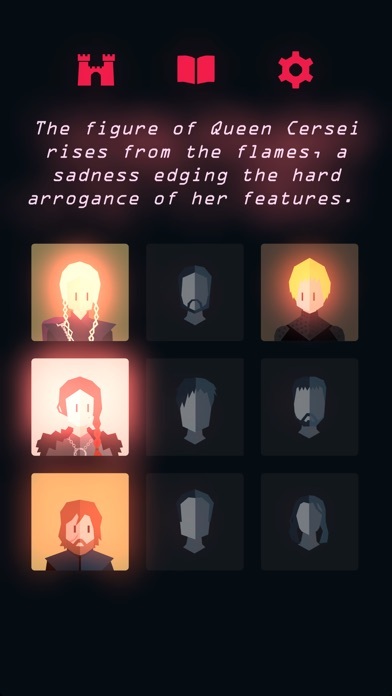 I honestly never play video games on my phone, but I love game of thrones, this truely has the essence of the setting. You can never trust anyone after all. This is one of the most addicting games I’ve ever played! I absolutely cannot put it down! The character talents need more explanation.. 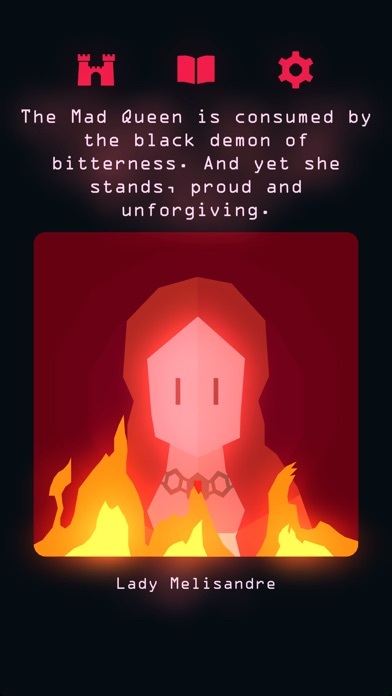 I was Jon and “my kind of tyranny was cleansed” because I had too much power. What does his talent do then?? This game is awesome, except for some minor inconsistencies with some dialogues, the interactions between the characters and the possible outcomes are crazy(I won’t give spoilers) I just wish to know if there could be some kind of future update with more characters and events. I would have loved to see Brienne as kingsguard for Sansa or Jaime and the Mountain for Cersei; or even better Davos as hand of the king for Jon or Gendry(I miss the onion knight.) I you wish to make theories and see possible outcomes by your hand now that season 8 is coming soon get this game for sure. The game is great, but it could use some more characters to play as, especially some of the dead ones. Perhaps include Queen Margaery, Prince Oberyn, King Robb, etc. 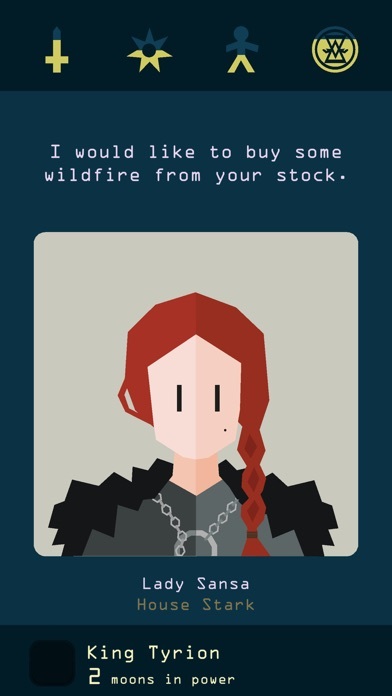 Fun overall, As Arya I get stuck in a 100 swipe loop when I’m trying to catch the cat and I give up. Other than that it’s been fun.